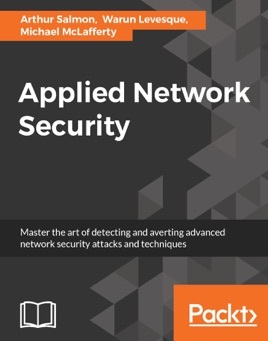 This book is for network security professionals, cyber security professionals, and Pentesters who are well versed with fundamentals of network security and now want to master it. So whether you're a cyber security professional, hobbyist, business manager, or student aspiring to becoming an ethical hacker or just want to learn more about the cyber security aspect of the IT industry, then this book is definitely for you. The book begins by showing you how to identify malicious network behaviour and improve your wireless security. We will teach you what network sniffing is, the various tools associated with it, and how to scan for vulnerable wireless networks. Then we'll show you how attackers hide the payloads and bypass the victim's antivirus. Furthermore, we'll teach you how to spoof IP / MAC address and perform an SQL injection attack and prevent it on your website. We will create an evil twin and demonstrate how to intercept network traffic. Later, you will get familiar with Shodan and Intrusion Detection and will explore the features and tools associated with it. Toward the end, we cover tools such as Yardstick, Ubertooth, Wifi Pineapple, and Alfa used for wireless penetration testing and auditing. This mastering-level guide is for all the security professionals who are eagerly waiting to master network security skills and protecting their organization with ease. It contains practical scenarios on various network security attacks and will teach you how to avert these attacks.